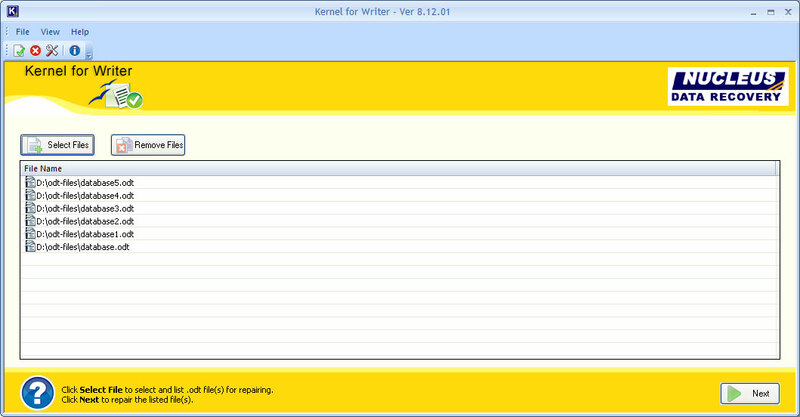 Do you want to use your ODT file through MS Word either your ODT file is corrupt? 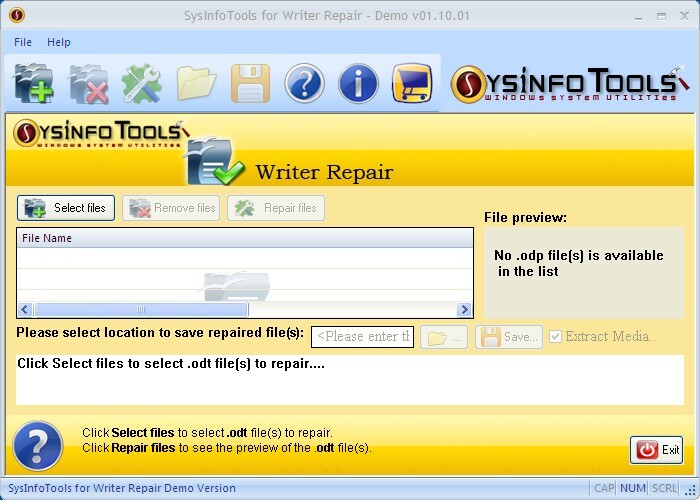 SysTools Open Office Writer Recovery is designed to repair Open Office file and then save them in RTF format that help you to open ODT file via any version of MS Word. ODT recovery software repair Open Office documents files when ODT files showing error message such as: "The file (*.odt) is corrupt and therefore cannot be reopened. Should OpenOffice.org repair the file? ", "General Input/Output Error", "The file "file.odt" could not be repaired therefore cannot be opened". 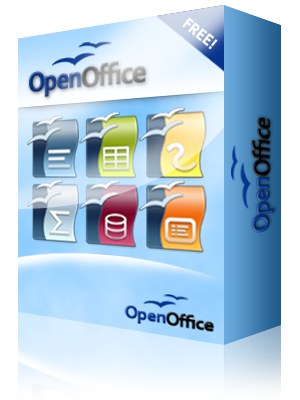 You can free download the demo of Open office Writer Recovery Software. Demo of SysTools Open Office Writer Recovery software only display preview of recovered .odt files data and restrict file saving options. Buy online ODT file reader software to repair and recover ODT files data and also convert into .RTF files.